Offering you a complete choice of products which include conical spring mechanical seal, multi spring mechanical seal, multi spring mechanical seal (equivalent to flowserve rott), multi spring mechanical seal (equivalent to chesterton 491 & 891), multi spring type (equivalent to bergmann m74d) and wave spring mechanical seal (equivalent to burgmann m7n). 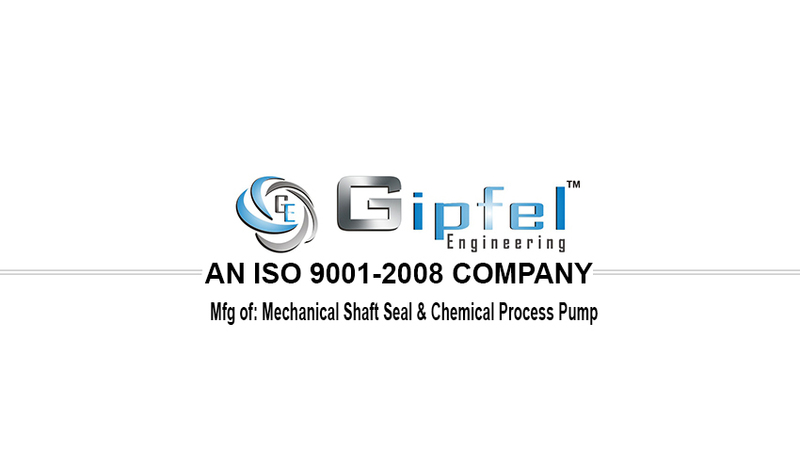 We are an accredited organization engaged in providing patrons with the best grade Conical Spring Mechanical Seal. As the torque transmission is done by conical helical spring. These seals are dependent on the direction of rotation. The direction of rotation is seen from the drive end of the shaft. Clockwise rotating shaft requires right handed spring and anticlockwise rotating shaft requires left-handed spring. Basic Application, Construction Industries, Food & Beverage Industries, Water Pump, Sewage Pump, Submersible pump & Circulation Pumps for central heating Etc. 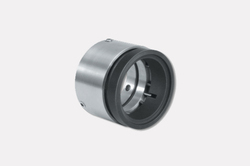 Our company has been acknowledged for offering Multi Spring Mechanical Seal to the clients. All the parts are interchangeable. The concept is ideal for stock realization. 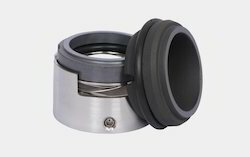 These seals are factory assembled dynamically tested for unit steel, glass lined and SS mixers, agitator vessels. Clear, Lubricating, Non Corrosive Liquids, General Chemical, Petrochemicals & Refinery Service Etc. Our company has been acknowledged for offering Flowserve ROTT Multi Spring Mechanical Seal to the clients. 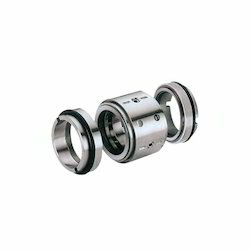 Chesterton 491 & 891 Multi Spring Mechanical Seal has high-performance; the single rotary seal is capable of handling a wide variety of applications. 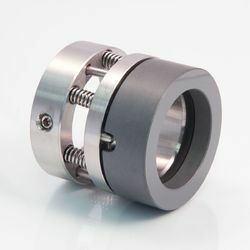 This seal can be run against many different stationary seal rings for maximum flexibility in many applications. This seal has a balanced O-Ring design with anti-clog features, springs out of the fluid, and dynamic O-Ring moves on a clean surface. Sewage, Waste Water Treatment, Slurry, High Viscosity, Viscous Contaminated Liquid, Sugar, Pulp & Paper Industries Etc. Our company has been acknowledged for offering Back to Back multi spring mechanical seal (Equivalent to Bergmann M74D) to the clients. Clear, Lubricating, Non Corrosive Liquids, General Chemicals, Low solids content and low abrasive media, Toxic and hazardous media, Media with poor lubrication properties, Adhesives, Petrochemicals & Refinery Services etc. 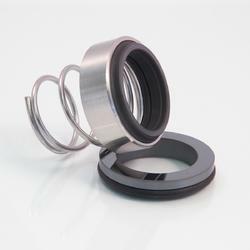 We are engaged in offering our clients with Wave Spring Mechanical Seal. These springs are designed with wave spring for handling Clear, Viscous Contaminated Non Corrosive Liquids. In addition to this, all our springs are compact in design and have axial length. We also provide tailor-made solution for all our products as per the demands and requirements of customers. 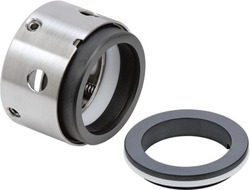 We are engaged in offering our clients with Spring isolated Wave Spring Mechanical Seal. The springs are product protected. These springs are designed with wave spring for media containing solids or with high viscosity and handling abrasive, sewage, slurries, sludge and viscous fluids. In addition to this, all our springs are compact in design, non-sticking or clogging and have axial length. We also provide tailor-made solution for all our products as per the demands and requirements of customers. 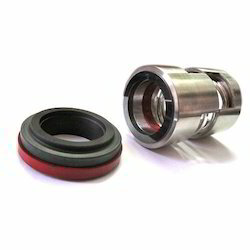 Being a foremost organization in this industry, we are actively engaged in offering the finest quality range of Single Spring Mechanical Seal. These products are available in various sizes in order to accomplish the various demands and needs of the respected customers. In order to ensure the reliability and durability of the seals, our professionals make use of optimum quality basic material in the production process. Viscous & Hazardous Duties, Solidifying, Crystallizing Media & Abrasive Slurries Etc. Our organization offers exclusively designed range of Single Spring Mechanical Seal to our esteemed customers. The product offered by us is widely appreciated for their single acting, unbalance, independent of direction of rotation, straight spring seal. Our range are widely used for circulation pumps for water and heating systems, Submerged Pump, Sewage Pump, Mud Slurry Pump, Sugar Industries and Specially Textile Industries. Mud Slurry Pumps, Viscous Fluids, Sugar & Textile Industries Etc.